There is an old-school bit of car buying advice that says you should wait until a new model hits the showrooms to score a deal on the previous model. In other words, when the all-new 2019 Eagle Premier comes out, you may be better off waiting to get a great price on the still-good 2018 Eagle Premier. But while you can get some great deals on leftover cars, you’ll probably want to start shopping sooner than you think. When an automaker is about to bring in a new model, it starts sales and rebates on the previous model year’s car several months in advance. The reason is simple—it’s all about inventory, and making room for new stuff. Dealers only have so much physical space on their lots, and they can’t have two similar cars occupying the same spot. Therefore they need to clear out the old cars well before the new ones arrive. This is partly the reason why you see so many sales during the summer months advertising HUGE SAVINGS! (Much of the time—but not always—a new model year will come out in the fall, though some automakers have launched new cars at various times of the year.) The goal here is to get that older inventory out to make room for the new cars. However, most of the key sales are happening in June, July, and August, not September and October. This is especially true when it comes to high-profit vehicles like pickup trucks. For example, this month Chevrolet is offering 18 percent off Silverados and some special finance programs like deferred payments for 90 days. Unfortunately, a lot of buyers think that if they keep waiting it out, the deals will get even better. But that isn’t usually the case. 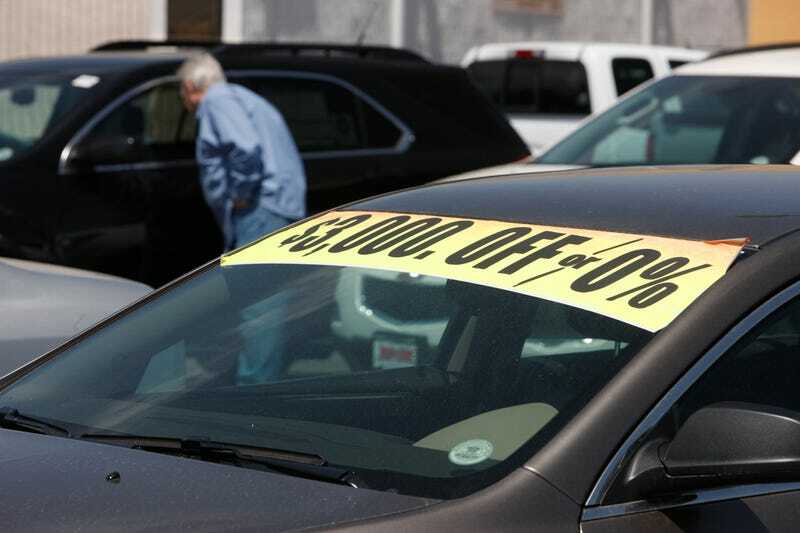 The reason is that most of these huge discounts are rebates coming from the manufacturer—if the automaker dials those back in a few months, the dealer can’t make up for it. The other downside to waiting too long is the selection. These sales are going on for months and months the available inventory is running down. If you are looking for a specific trim, options and color combo, that car may not be available in the fall when the number of remaining leftover models is slim. Furthermore, if you are looking to lease a leftover car, the arrival of a newer model can have a negative impact on the residual (or resale) value of the previous year. And a drop in residual is going to mean an increase in payments, unless there are significant discounts to offset this. Of course, if you aren’t ready to buy a car don’t rush to the dealership just for the sake of taking advantage of the summer sales. But if you think you may be in the market soon and are holding out for a deal on a leftover model, now is the time to start your shopping.